Now published in a revised second edition, The Matter of Images searches through the resonances of the term `representation', analysing images in terms of why they matter, what they are made of, and the material realities they refer to. Richard Dyer's analyses consider representations of `out' groups and traditionally dominant groups alike, and encompass the eclectic texts of contemporary culture, from queers to straights, political correctness, representations of Empire and films including Gilda, Papillon and The Night of the Living Dead. Essays new to the second edition discuss Lillian Gish as the ultimate white movie star, the representation of whiteness in the South in Birth of a Nation, and society's fascination with serial killers. 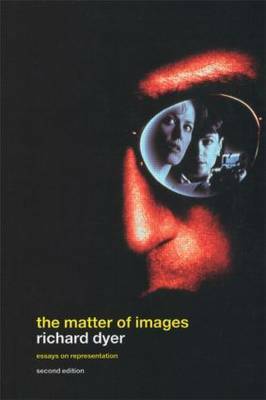 The Matter of Images is distinctive in its commitment to writing politically about contemporary culture, while insisting on the importance of understanding the formal qualities and complexity of the images it investigates. "The collection is ample proof that Dyer is the king of his particular hill, and anyone else trying the ascent is well advised to give up and seek contentment by pottering about on the beginners' slopes.."